NEW YORK — Voters in Virginia agree with those in New York and Pennsylvania that there is a link between access to abortion and women’s financial stability and equality, according to a new survey released by the National Institute for Reproductive Health. Virginia voters also disapprove of the recent legislative trend in restricting abortion access and want to see their laws go in a different direction. The most recent survey was conducted by the non-partisan research organization PerryUndem Research/Communication among voters in Virginia, and the findings mirror prior polling on the same topics among voters in New York and Pennsylvania. All three states had broad-based women’s legislative agendas under consideration in their state legislatures at the time of the surveys addressing issues related to financial stability and reproductive rights. In addition to support for proactive abortion policies, large majorities of Virginia voters also agreed with economic proposals being discussed as part of the Virginia Women’s Equality Agenda, such as having stronger laws to ensure equal pay for equal work, making sure all workers get a minimum number of paid sick days, increasing the minimum wage, and protecting access to birth control. Seventy-nine percent of Virginia voters supported the package as a whole. Sixty-three percent of voters oppose a group of new laws enacted recently in Virginia curtailing access to abortion, including forced, medically unnecessary ultrasounds and TRAP regulations that single out abortion providers. Other new laws make it illegal for Medicaid to cover abortion care even when a woman’s health is at risk and forbid private health insurance companies from selling marketplace plans that include abortion coverage. By roughly the same margin (62%), voters say they are less likely to vote for an elected official who favors more restrictions on abortion. “It’s striking that even in Virginia — a state reflecting the national trend to impose further barriers to access to abortion — the majority of voters oppose those restrictions,” said Miller. More than two-thirds of voters in each state support the proactive, abortion-specific proposals in their respective or proposed legislative agendas (in VA, 67% support protecting a woman’s right to access safe and legal abortion care; in PA, 82% support making sure politicians can’t force doctors to give patients medically inaccurate information about abortion, 73% support protecting spaces around entrances to reproductive health centers, and 71% support protecting decisions around abortion; in NY, 77% support protecting abortion rights as decided in the Supreme Court case, Roe v. Wade). About eight out of 10 voters in each state supports women’s legislative agendas overall (79% in VA; 80% in PA; 84% in NY). Voters say they are more likely to re-elect elected officials who support women’s agendas that protect access to reproductive health care, including abortion (70% in VA; 68% in both PA and NY). Voters say they are less likely to vote for an elected official who favors more restrictions on abortion (62% in VA; 60% in PA [question not posed in NY]). More than six in 10 voters (68% in VA; 62% in PA [question not posed in NY]) say laws that make it harder to access abortion can have a negative impact on a woman’s financial stability. Majorities of voters in each state say that a woman’s ability to control whether or when she has children is related to her financial stability (64% in VA; 72% in PA; 76% in NY) and is an important part of equality for women (57% in VA; 83% in PA; 81% in NY). The Virginia poll was conducted June 10-15, 2015, among 801 registered voters statewide. It was administered by telephone, including landlines and cell phones. The margin of sampling error is ± 3.5 percentage points. Read the full Virginia polling memo here. 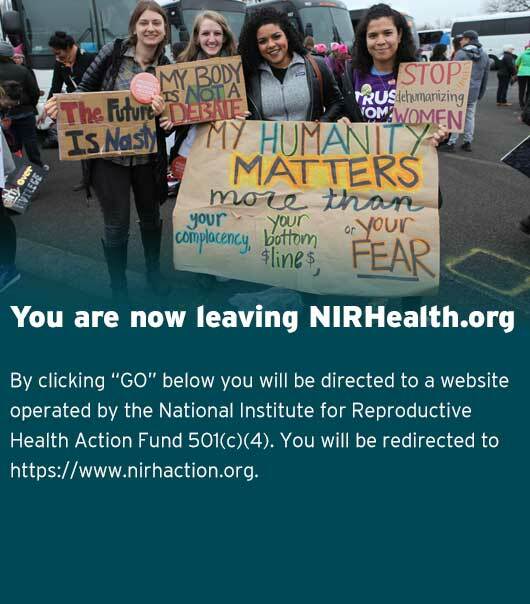 The National Institute for Reproductive Health works at the state and local level to promote reproductive rights and expand access to reproductive health care (with a focus on abortion care), reduce unintended pregnancies, and empower youth to make healthy sexual and reproductive decisions.